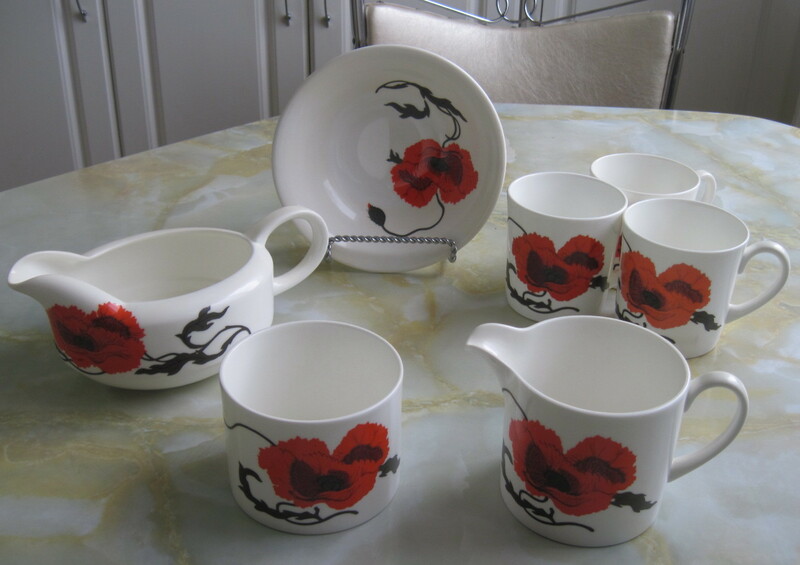 Another Susie Cooper design for Wedgwood in England called Cornpoppy, in the Can Shape, ca. 1971. 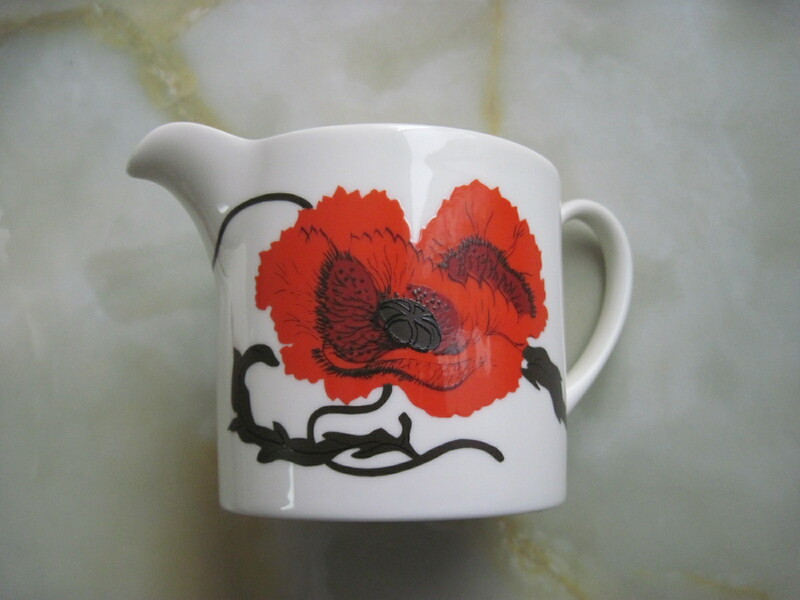 The pattern was applied using the ‘covercoat’ technique which was simpler in application than lithographs and gave a more uniform colour. The colours are crisp and clear and perfect. Will be available at my booth at the Almonte Antique Market, 26 Mill Street, Almonte ON. Open 7 days a week from 10am to 5pm all year long. Cream and Sugar $ 30 now SOLD!! Mugs $ 10 each now SOLD! !